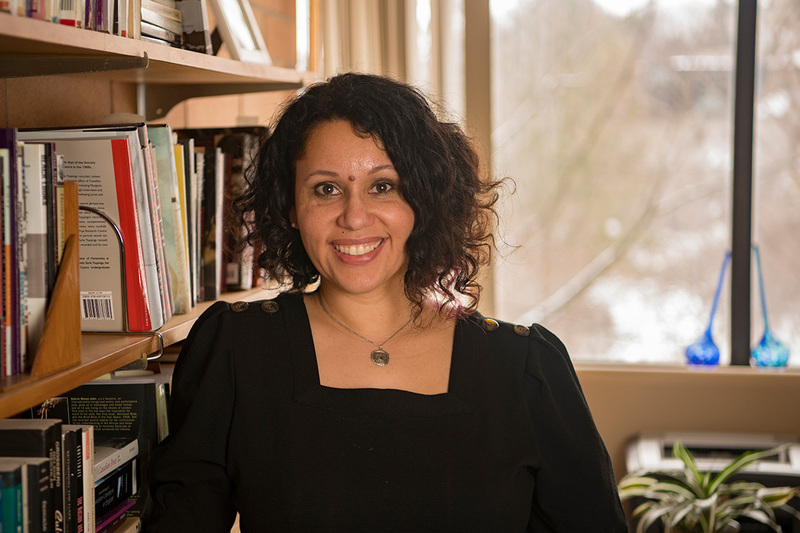 As a graduate student at the University of Victoria, Karina Vernon was ready to focus her PhD on African-American literature when she made a discovery. Wandering through the library, she came across a shelf of community histories of the place where she grew up. “I was like, what is this?” says Vernon, who moved at a young age from Honduras to Olds, Alta. and is now an associate professor in English at U of T Scarborough. Leafing through histories of the region where she grew up, she came across something unexpected: an account of a “Black paddler” gliding along the Peace River in the 1870s. Until then, Vernon had not thought of the prairies as having much Black history. But, as she came to understand, that history goes back as far as the fur trade and first European contact. That accidental discovery led her to switch gears and dig deeper in her research to find out more about the writings of Black people in the region. Her research resulted in her PhD thesis on Black prairie literature, and indeed a life’s work that culminates in a book out this summer, The Black Prairie Archives: An Anthology. In the book, Vernon pulls together expressions of the Black experience in a diverse range of genres — personal memoir, oral literature, poetry, short fiction, afrofuturist fantasy, rap, slam poetry — from as far back as the 19th century. The first entry in the book is a Black page, to represent the “repertoire” of voices not heard, the voices of those unwritten cultural practices that existed in North America since at least the 18th century, practices such as dance, singing, storytelling and performance. The Black page “is a kind of placeholder for all that oral culture,” Vernon says. Black migration arrived to the Prairies in waves over the centuries. During the time of the fur trade, there were Black voyageurs. Black pioneers lived on isolated homesteads and in all-Black communities built to create support systems. Between 1905 and 1911, a large wave of Black migration came from Oklahoma and surrounding states until it was abruptly banned through racist legislation. Vernon’s own family came from Honduras in 1981 after changes in Canada’s Immigration Act removed biases against non-white immigrants. The Black Prairie Archives will have a companion monograph – an academic analysis that goes into more depth. The two works are the result of more than 10 years of research and Vernon hopes they will bring a hidden and repressed history into the light.